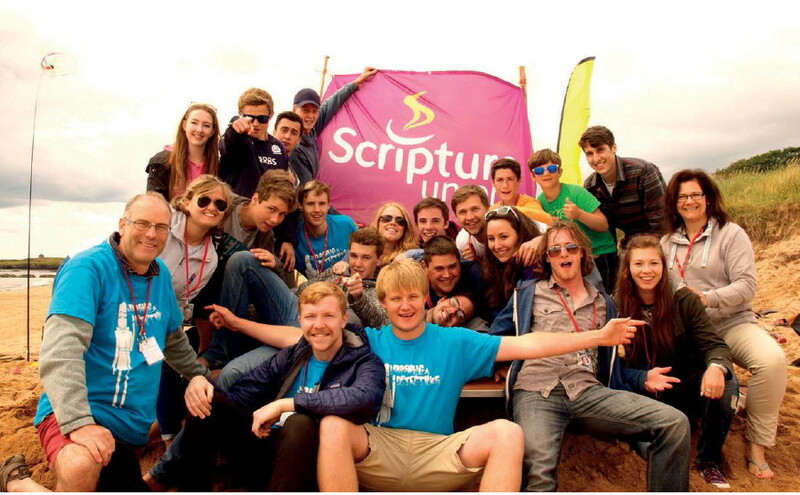 Jackie Macdam reflects on a significant anniversary year for Scripture Union. IF you happen to see a group of youngsters wearing a Victorian-style moustache this summer, don’t panic. It’s probably just the local Scripture Union Summer mission posing for their ‘Josiah ‘Tash Task selfie, to celebrate 150 years of Scripture Union. Andy Bathgate, Chief Executive of Scripture Union in Scotland is helping roll out a year’s worth of events to celebrate the anniversary. He laughs. “The ‘Tash-Task’ is so that people can take selfies of themselves sporting the Josiah Spiers Tash and send them to us as part of our website! The Rev Colin Sinclair was the General Director of SU Scotland from 1988-1996 and is currently the Chair of the International council for SU covering the work in 130 countries. He has fond memories of SU. “I never realised that breaking the school rules would have such consequences! Trying to save thirty seconds I had committed the cardinal crime of trying to leave school by going down the “up stair”. Unfortunately a prefect saw me and called on me to stop. Instead I turned round and hurried up the “Up stair” to the top of the school. Fearing a pursuit which probably never came, I went to hide in the Art room at the end of the corridor. However I found I had inadvertently barged into an after-school club at which a film was being shown. Thankful for the darkness I sat down and, after recovering my breath, started to watch the film. It was of a Scripture Union holiday and looked great fun. Yes there was a religious bit, but surely you could put up with that for the sake of the rest. I took the brochure home and to my delight my parents said I could go. 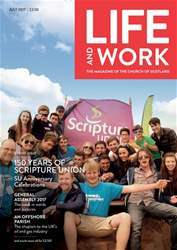 In this month's issue: 150 Years of Scripture Union and the anniversary celebrations. General Assembly: 10 pages of reports and pictures from the Assembly, Fringe and Heart and Soul. An Offshore Parish: The chaplain to the UK's oil and gas industry.